protection for thunder striking,provide the reliable power to the home appliances. Supply the reliable long back up time power for the home appliances and office appliances Solar power systems etc. Please feel free to contact us, your inquiry will be replied within 24 hours. Sine wave inverter output AC voltage waveform is sine wave. 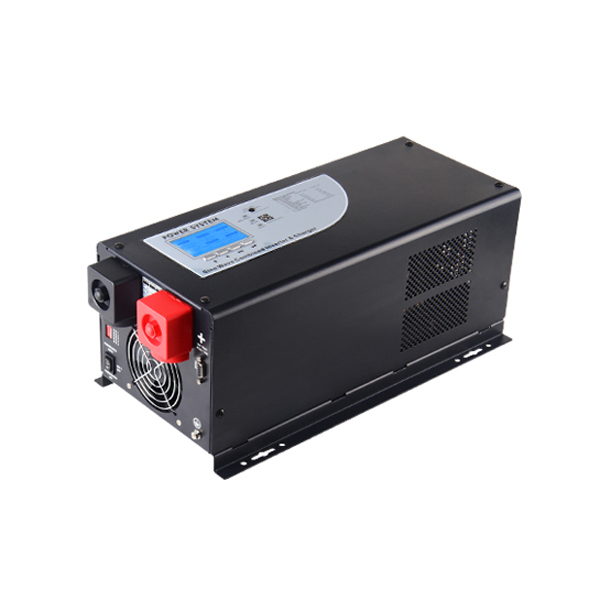 The advantages of the sine wave 6000w pure sine wave inverter are that the output waveform is good, the distortion is very low, the interference of the radio and equipment is small, and the noise is low. In addition, the protection function is complete, and the whole efficiency is high. The disadvantages are: the circuit is relatively complex, the maintenance of high technical requirements, the price is more expensive. Sine wave 6000w pure sine wave inverter is widely used in all kinds of: computer system, communication system, household, aviation, emergency, communications, industrial equipment, satellite communications equipment, military vehicle, ambulance, police cars, ships, solar energy and wind power generation field places needing emergency backup power, EPS emergency power supply system. (7) load the input line connected to the 6000 watt pure sine wave inverter output socket (marked “OUT AC”). Copyright © 2015 - 2025 Shenzhen SORO Electronics Co., Ltd.